Home / Are Strollers Really Needed For A Baby? Are Strollers Really Needed For A Baby? Well, the correct answer to this question can give only the true user of this baby vehicle. A stroller is the most popular baby carrier. Most of the parents are like to use stroller or pram to carry out their baby indoor and obviously outdoor. We are tried to find the answer from some positive and some negative opinion from user review. Side by side double stroller. Hope you have got some idea about the use of strollers from the mentioned types. 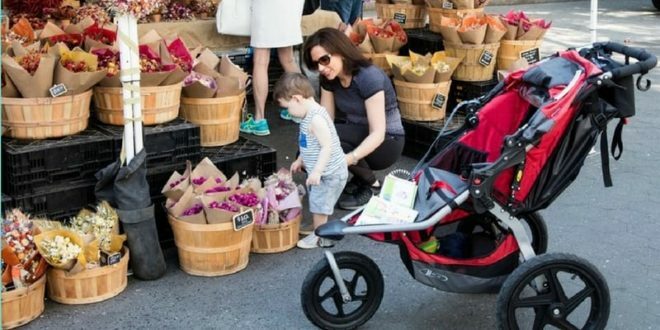 Let’s discuss the necessity of stroller in the light of the positive review. A stroller is highly useful at the time of your outing. Think you are in a restaurant and try to have your meal by sitting baby on your lap. Isn’t it dangerous that he/she could pull down all things? You can take a stroller and keep your baby safely. Now enjoy your meal. Need to shop some think? Is no one at home to take care your baby? Then trust me, you need badly a stroller to take your baby along with you. According to user’s review, babies are also enjoying riding on a stroller. A few month older babies love to crawl rather than stay mother’s lap. Especially when, then you take her /him for shopping or walking. It is very difficult to manage this age group for the mothers outside the home. In the populated places like shopping malls, it is more difficult. So take a stroller with you, keep your baby on it safe and be relaxed on your shopping time. Are you a lucky parent of twin baby? Are you suffering from the problem of managing two children together? Don’t panic. The manufacturers are quite concerned about your problem. They have solved your problem in advance. You just need a Tandem or double stroller or a Side by side double stroller. I think it’s important for those who have two children more than who has the single one. “Jogging stroller” and “Travel system” are the most popular variant of these baby vehicles. Some time mothers face problem doing their daily task like jogging with the little one. These strollers are specially made for those moms who love to keep their baby during their jogging time and love to travel with a baby. And if Baby likes to travel then do not talk, buy it quickly without delay. Earlier I said that the user has both positive and negative opinions about the stroller. Let’s talk about some negative opinions. Many users think that stroller is not essential; buying it is just a luxury. Sometimes many babies just refuse to ride stroller. They love crawling or mom’s lap rather than to ride stroller. Many people say that it is better to give children the opportunity to travel in their own way at indoor without having to take the stroller to prison. Some negatives have the opinion that the use of the stroller is just plenty. The career is enough to carry the child. There is a lot of opinion about how much the stroller needs for a child to grow properly. I think this is very much dependent on child’s behavior. Some children are happy with the joy of riding in the stroller and some are not. So I think parents should make decisions about the importance of children’s choice.